Oh, those awesomely talented people on Etsy have done it again. 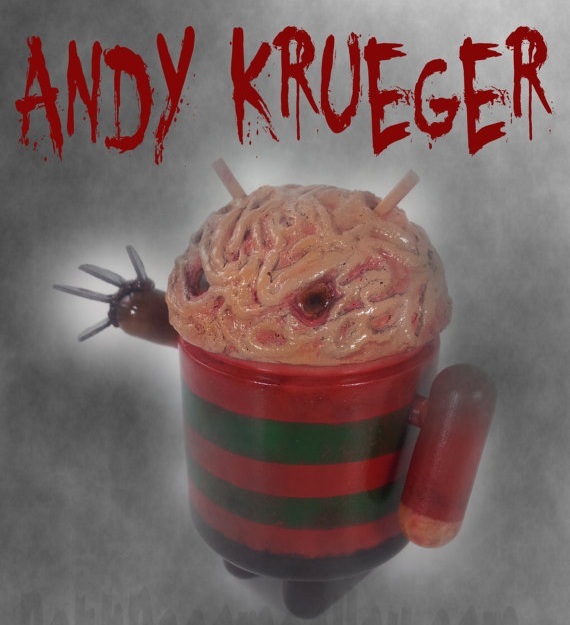 Above is a special (hand made) Andy Krueger bugdroid mini. As of this post, there are only 11 available, priced at $70 each. It may seem steep, but that is some excellently crafted nightmarish stuff right there. So, who wants to get Tato a late Christmas gift?